Born in 1898 as a division of Branch Normal School, what would later become Cedar High School originally operated under the auspices of the University of Utah. But when the responsibility for running the school passed from the University of Utah to Utah State University in 1913, the school became the Branch Agricultural College–the progenitor of today’s Southern Utah University. 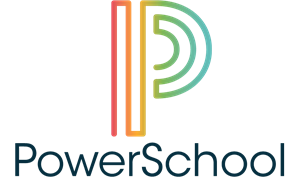 As the town grew and the number of students enrolled in the school swelled, administrators recognized the need for an independent high school. Hence, the creation of Cedar High School, where classes began in September 1940. The growth of the Cedar High School student body hardly ended in the Sixties. To deal with this growth, in 1988 administrators added new classrooms on the south side of D Hall. Expansion continued in 1993, when administrators not only erected the current auxiliary gymnasium, ceramics, woodshop, and commons (now lunchroom) areas, but also added a basement to the school, so opening more classroom space. Taking even more dramatic action, in 1997 administrators sent approximately half of the student body to a new high school, Canyon View High School, built on the north end of town. To accommodate further growth–and to modernize the school’s facilities–the Iron County School Board authorized dramatically remodeling the school in 2010, so launching a two-year construction project updating the school’s lighting, electrical, and heating systems, and adding a suite of administrative offices, a new commons, a band room, a faculty room, and a biology lab. In 1942 the student council led by president Jay Thorley adopted the name “Redmen” representing the many Native Americans who lived and continue to live in this area. The name was originally chosen for the athletic teams, but over time prepresented the whole student body. 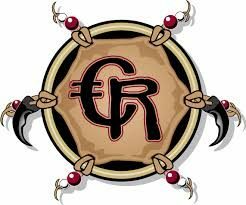 The mascot, an Indian shield, has changed throughout the history of Cedar High School, but has always been true to its roots. Cedar High School students are expected to be “proud to be a Redmen!” The mascot, Redmen, reminds all of us of the pride, nobility, and hard work it takes to achieve success. The school colors also have significant meaning behind them. Gold symbolizes the sun, representing light and knowledge. Crimson signifies strength and loyalty, characteristics that all CHS Redmen should strive for their lives.